Most sustainable giving happens at the end of the year. That’s a pretty well documented fact, along with the other well documented one: most nonprofits ask their donors for support at the end of the year. For us sustainable supporters, that means many many appeals, both postal and e. And I don’t know about you, but I find that I am putting these appeals in my inbox, to be dealt with “later” if at all. Which has made me rethink popular wisdom. For many of my clients—particularly my smaller ones where every penny spent hurts—I’ve been recommending not only pushing recurring giving but considering recurring getting. That is, instead of simply asking once or twice a year, do a monthly ask, asking people to make a recurring monthly gift via email and social media. Where they don’t have email addresses, I’m recommending postcards, pushing recipients to the website. There are a lot of reasons for this. The aforementioned end of year glut being one. But also the idea that getting money in all year round will definitely smooth out the very rough patches most of my clients endure at certain times. Done well, monthly appeals can also serve as monthly stewardship pieces. You don’t even have to segment out donors from not-yet donors; simply make your messaging work as an ask and an appreciation. I haven’t completely backed off end of the year appeals, but I’m more likely now to suggest a very specific ask: to support something special, to focus on one aspect of the organization’s work. To make this an “and” gift for those who are (or will become) monthly contributors. This may not be the best strategy for your organization. As my husband likes to remind me, one size does not fit all. But what does fit is a regular review of what you are doing, and a careful decision as to what you will do—and how you will do it. 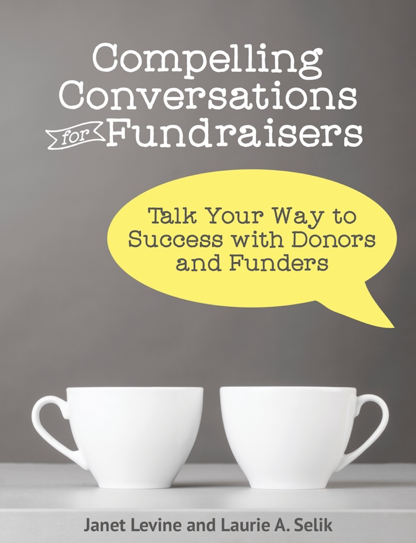 Janet Levine works with nonprofits on improving fundraising results. Learn more at www.janetlevineconsulting.com. Check out upcoming workshops and classes, sign up for the free newsletter and email Janet for a free 30 minute consultation. This entry was posted in fundraising and tagged end of year appeal, fundraising strategies, new ideas, recurring gifts. Bookmark the permalink.